Wow! 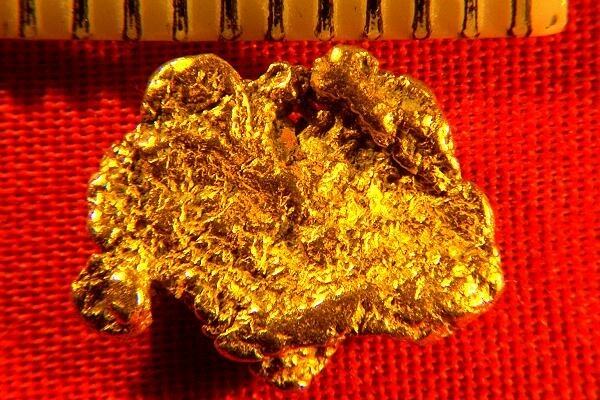 This is an amazing natural Gold Nugget from British Columbia in Canada. It has great color and texture and nice lines. A real golden beauty worn smooth by the elements. It weighs 2.4 Grams (37.0 Grains). B.C. gold nuggets are considered rare because you almost never see B.C. Gold Nuggets for sale. The B.C. Gov't banned suction dredging in the rivers and creeks years ago so that severely restricted the number of nuggets found in recent years. This is one of the last two nuggets I have left from British Columbia. This spectacular B.C. Gold Nugget is 9/16" (14 mm) long. 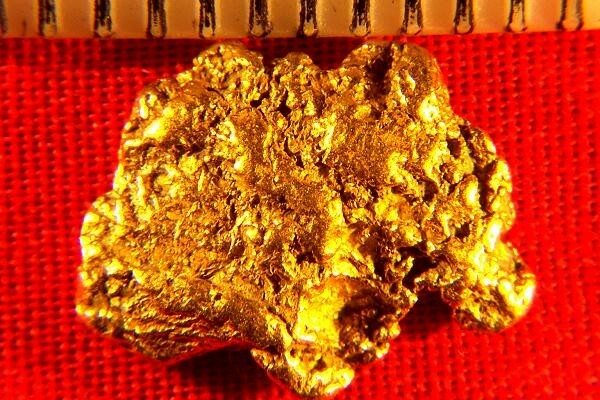 It was found by a couple who used to earn their living prospecting for gold in the Twin Creeks area of B.C.